Merry Christmas and Happy New Year from MetsPlus. We have taken a week off for family, so please pardon the lack of Mets articles on the blog over the last week. I hope everyone had a nice time off and enjoyed the holidays with family and friends. In baseball related news, MetsPlus will officially “re-launch” on New Year’s Day, as previously announced, so look forward to that! With the trade of Jon Niese, David Wright becomes the last signed player that played a game in Shea Stadium. Of course, Wright didn’t just play a few games. He played four and a half full seasons in the Mets classic home. Wright put up his best numbers in Shea, numbers that many proclaim he will never come close to again. Of course, there are still some hopes for some more Mets from the Shea era. One of the players that has ties to Shea is Daniel Murphy, who made his debut in August of 2008. However, with the additions of Cabrera and Walker, the Mets aren’t even looking at Murphy. The other option is Bobby Parnell, who many forget made his debut in late September of 2008. Parnell is a free agent, but id healthy, he could become a important asset to a questionable bullpen other than Familia. Yes, Shea closed back in 2008, but that doesn’t feel like that long ago. I still remember going walking the Subway ramp to our gate, and walking down the stadium ramp seeing Mr.Met thanking me as I leave…. A few weeks ago, we reported that the Pepsi Porch will no longer be sponsored by Pepsi. What we didn’t know, however, was that the entire line of Pepsi products will be leaving Citi Field in favor of the Coca Cola family of products, some of which, are featured above. Mr.Met and the “Coca Cola Polar Bear” made it official a few days ago, in what will be the only sponsorship changes that fans will actually notice when the head on out for a Met game. For one thing, the iconic “Pepsi-Cola” right field sign is out, which is a signature landmark in any Citi Field photo. But, a Coca-Cola sign wouldn’t look that much different. Next, there is the fact that we won’t have Aquafina water anymore, which sounds silly, but from a guy that hasn’t tried a carbonated drink in my sixteen year life, I know good water and bad water. Again, it’s not the biggest deal in the world, but the Daniel Murphy and Jon Niese-less Mets are starting to become more foreign from a team that hasn’t changed much in the last seven years. Michael Cuddyer retires. Nice knowing you Pops! All jokes aside, Cuddyer had a very nice 15 year career. One that led to two All-Star game appearances, a silver slugger award, and a 2013 NL Batting Champion. Pops will forever stay in my mind for his memorable mis-cues in the 2015 NLDS and his underwhelming regular season. He will, however, open up $12 Million Dollars in available salary that can be used towards a more valuable asset for 2016. 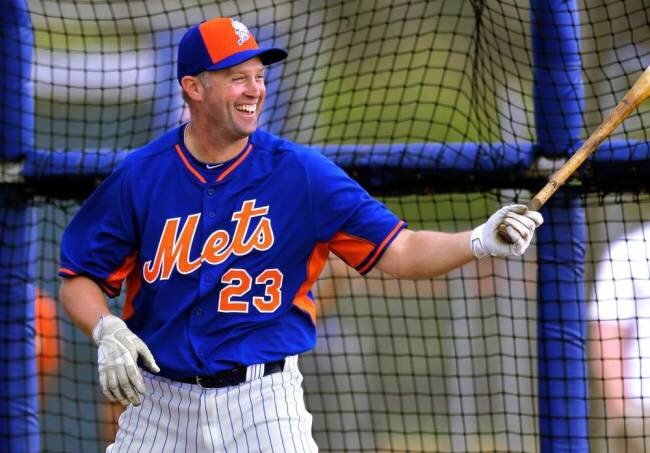 Good luck Michael Cuddyer, you’ll create a good coach or a broadcaster one day. Jon Niese’s Mets carrer is officially over, at least for now. Oh and while we are at it, so is Daniel Murphy’s. Again, for now. Why have there Mets careers come to a early end? Well, if you missed the earlier news, skipped the title and are confused by the image below, Jon Niese was traded to the Pirates for Neil Walker. If Murphy and Parnell don't resign, Wright will be the last active Met to have played at Shea Stadium. Tejada would be the 2nd longest Met. Now, let me say this again: Neil Walker for Jon Niese was a steal. Niese is not a great pitcher, and if anything he is on the decline, not an incline, whereas Walker (yes, he’s a position player) is a consistent 270 hitter with 20 home runs and 75+ runs batted in, and while power numbers don’t always convert over to Citi Field, contact numbers, like Walker’s do. Honestly, I’m surprised that the Pirates made this deal. To me, it is so one sided. It’s not even questionable. I would love to know what they saw in Niese, or, didn’t see in Walker. I feel like Mets fans care about this signing more than the Dodgers. Today, I arrived in Nashville, Tennessee, for the MLB Winter Meetings. Earlier in the day, I placed a call to the fans for inbox questions. 1. Frank C. via email – Will Alderson’s absence hinder the Mets winter meetings plans? While no one likes to talk about something else when there is a health issue, many have been asking this exact question. I honestly believe that the “action packed – no holding back” week that we were going to have will be toned down. (Frankly, I don’t think we were going to have that week even if Sandy was down here). 2. @George2gman – How is the mood there Niko? Any activity as far as meetings in the hallways etc? To be honest there has been little to no action. I’ve seen the executives, some GM’s and recognizable TV personalities, but since the meetings don’t officially start for two more days, I haven’t seen guys in suits frantically picking up cell phones. 3. Ed E. – Who will the Mets get during the week [of the winter meetings]? I would be surprised if the Mets picked up a household name this week. If I was in charge of the Mets, I would look for a durable reliever, yet that market is surprisingly thin at a cheaper price point, something that used to be in prosperity.